There is no specific time of the year to feel patriotic about our beloved motherland, India. But there are two events in the yearly calendar that heightens the sense of belonging to an exciting peak. We are referring to the celebrations of the Independence Day in August and Republic Day in January. As we set foot in the new year and look forward to unique experiences, how about attending one of the biggest parades in the world, a journey every Indian must undertake; witnessing the Republic Day Parade in Delhi. Here is what to expect from this magnificent event. Explore the best hotel deals in Delhi. Celebrated on the 26th January every year, the Republic Day is an affirmation of the many states, cultures, traditions, languages and people standing together as one mighty nation. Typically celebrated across three days, the event is an amalgamation of talent and heritage, showcasing our defense capability, cultural talent along with the rich and varied heritage. The President's Body Guards on horseback. The grand event is held in the capital city if the country, Delhi. The event is celebrated in various cities by both the government officials, schools, colleges and other institutions. Yet, it is Delhi that the true grandeur of the event comes to light. The most memorable event is the Republic Day Parade that commences at the Raisina Hill that is located in close proximity to Rashtrapati Bhavan and proceeds along the Rajpath further down past the India Gate. The Republic Day's events starts with the arrival of the President of India, accompanied by body guards dressed in ceremonial winter dress and on horseback. The solemn moment to watch out for is when the President pays his respects and lays flowers at the Amar Jawan Jyoti in memory of the numerous unknown soldiers who laid their lives fighting for the country since the freedom struggle and the subsequent wars. It is sure to be the most memorable flag hoisting that you will ever experience! The President of India unfurls the flag as te National Anthem is played. The crowds stand to join in paying their respects to the mighty nation. Both the 21 gun salute and the President's Bodyguards' National Salute is given, setting an energetic beginning to an eventful day! The Republic Day functions as an event that honours various officials and civilians on various accounts. Bravey awards to the armed forces such as the Ashok Chakra and Kirti Chakra are announced, followed by bravery awards for civilians and young children such as the National Bravery Award. The colourful parade of the Boder Forces. 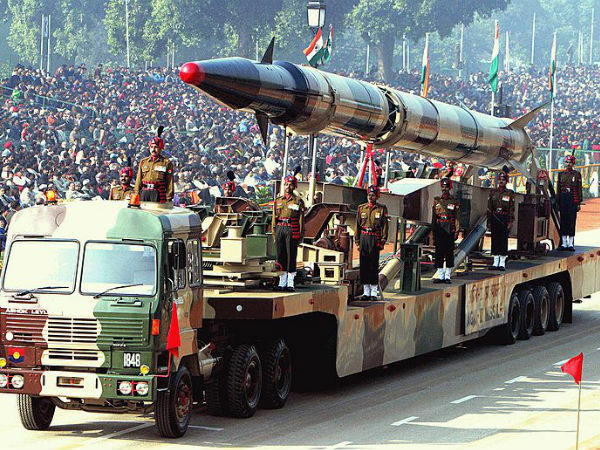 The most fascinating feature of the Republic Day Parade is that every state of India is showcased prominently. The parade kicks off with the various regiments of the Indian Army, Navy and Air Force marching past the crowds in all their official finery. A unique sight is that of the only border force in the world to be a camel-mounted contingent. The display of over 30 floats that display the culture and heritage unique to each state in the country is a mesmerising watch. Displaying the traditional attire along with cultural folk music and prominent symbols of each state, the entire event is broadcast and enjoyed on TV by people across the country. Mesmerising performances by school children in various cultural dances and performances are a part of the Republic Day Parade and provides a festive air to the event. The Madras Regiment marching in the Parade. The Republic Day Parade in Delhi comes to a rather eventful end with motorcycle units of the armed forces performing various stunts and acrobatics on the motorbikes. It indeed is a thrilling sight. The Air Force also send its jets and helicopters for a visual spectacle in the sky. The official end of the Republic Day Parade is held in the Raisina Hills and the Vijay Chowk areas with the Beating Retreat of the bands from the Army, Navy and Air Force. Set against the background of the Rashtrapati Bhavan, this marks a rather exciting end to the three-day long festivities. The venue of the Beating Retreat. If you travel to Delhi to enjoy the Republic Day Parade, then make sure to catch some of the iconic symbols of the capital city. Attractions that you must not miss include; the Qutub Minar, the India Gate, Lotus Temple , The Red Fort, the exquisite temple of Akshardam and the colourful chaos of the markets of Chandini Chowk. Read more on the must-visit places in Delhi. The Republic Day Parade is a ticketed event and you can purchase reserved and non-reserved tickets from various locations. To buy a ticket contact the India Tourism Development counters at hotels such as the Ashok and Janpath or the Delhi Tourism counters located at venues such as Dilli Haat, Coffe Home, Chandini Chowk, etc. The rate of the ticket ranges from Rs. 300 to Rs. 20 per head. A must-experience event in India's capital city of Delhi. Dress in winter clothing, as early mornings in Delhi are harsh. Travel early and reach the venue ahead of time to avoid the traffic pile-up and rush. Book reserved tickets for better view of the event. Avoid taking along any electronics as they wont be permitted. A strict security check is in place along with the gates being closed before the commencing of the National Anthem. Book your tickets to Delhi now!